These fun Christmas gift tags are the perfect final touch to you gifts. 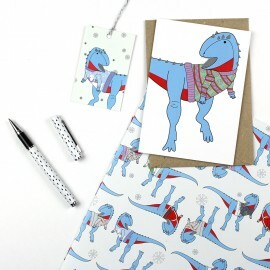 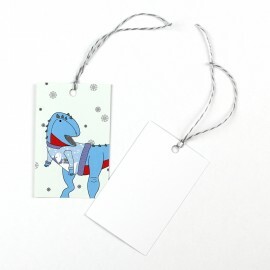 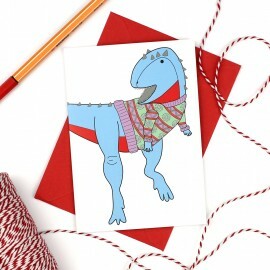 The tags feature an orkoraptor wearing an ugly Christmas jumper (with a snow-rex on it). 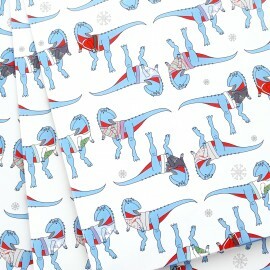 It is surrounded by snow flakes on a very pale blue background. 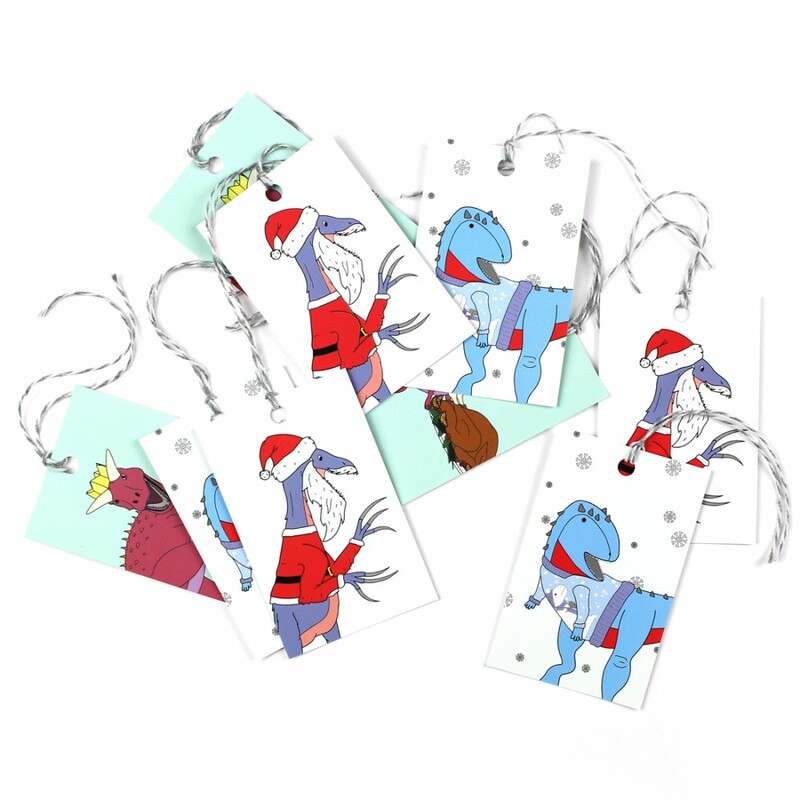 The tags hang from white and grey bakers twine so you can attach them to presents. 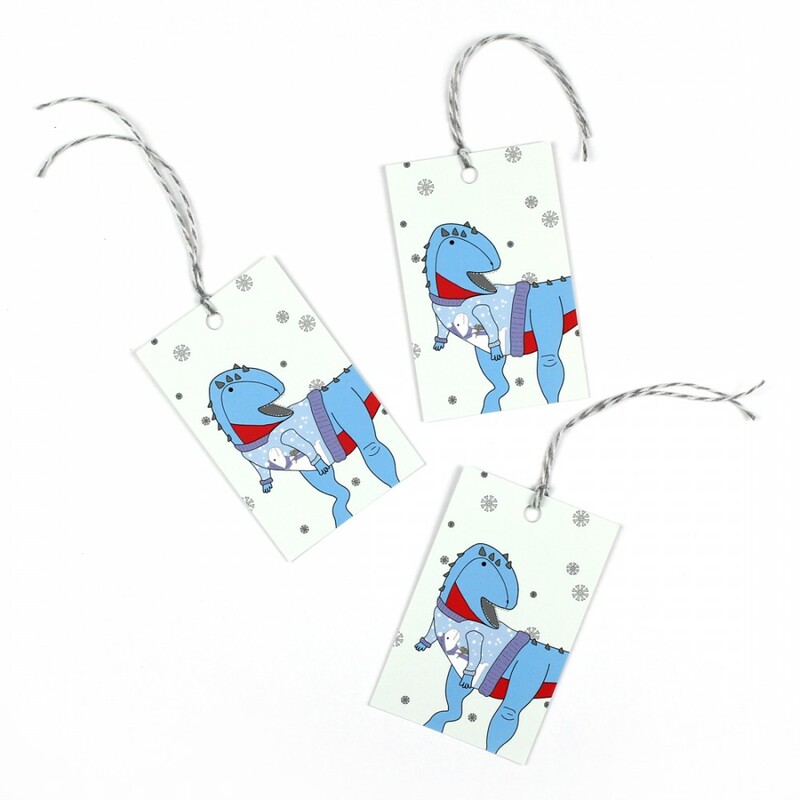 Each design is drawn by me and adapted into these tags.